Dam: SG Little Tots Estate ST Kowkab *M *DAR, 93% PE, ANDDA JuJu GOLD, AGS Nat'l Top 10 305, 1 Day (2nd place). 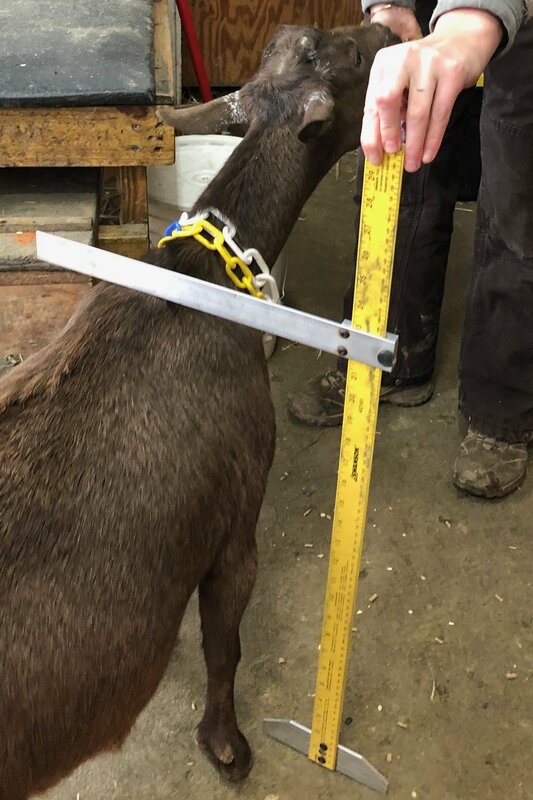 As a FF, Comet's High Test was 4.5# and completed her 305 (milking 1211#), ranking her 2017 ADGA Elite Doe, Superior Genetics, Top 10 Milker & ANDDA JuJu GOLD. Her second lactation was even more remarkable. Her total was 1456# with a 6.2# Milk Test High. Her highest BF was 9.7# when she milked 5.6# at 150 days fresh. Like her dam, Comet produces “up”—as seen in her daughter, Halley, who is one of our prettiest FFs. Halley VEVE88 has also earned the SG designation, as well as ADGA Elite (PE 98% on 8/18). Halley’s high was 5.1# and her 305 should be right at 1000#. Comet’s half sister (Cassie), ranked SG/Elite and also milked over 1100# as a FF with her PE ranking at 98%. Another half sister (Wonder) milked 1100#. This is an amazingly consistent and very "milky" line. We are so proud of Comet, especially since her dam ("Star") is one of our very first does. Star has the wonderful ability to out produce herself with 3 of her 4 daughters (on test) producing over 1100#. One look at Comet, and you can see how pleased we are. As of 2/19, Comet has milk nearly 1800# just under 400 days fresh.